What are the benefits of XanGo juice in Winter? So how do I stay fit and well over winter? Since 2007, I’ve been taking my XanGo juice and have come down with a cold / flu only once in that period. In the simplest manner possible by providing nutrients from a plant source as a form of liquid food essentials. Those essentials are the phytonutrients from the whole fruit puree of mangosteen that is in XanGo juice. Phytonutrients such as xanthones, catechins, polyphenols, tannins, proanthocyanidins and polysaccharides the antioxidant classes that we don’t have enough of in our lives. Sure you can get all of this from just eating fruit and vegetables…..wrong. Most people these days although eating fruit and veggies are not getting either enough of either. The infographic from XanGo shows that many plants do have good antioxidant levels, fruit and vegetables such as mangosteen, acai, spinach, kale, pomegranate and blueberries. There is no recommended daily (RDI) intake for antioxidants. If you have found one please let me know. For the monetary benefits of Xango juice look no further than this post. However as noble laureate Linus Pauling was often expounding upon, for our bodies to work effectively we need a optimal daily intake (ODI) of nutrients. Stock up now on your body’s antioxidant levels get a good antioxidant juice and drink it to increase your antioxidant levels. 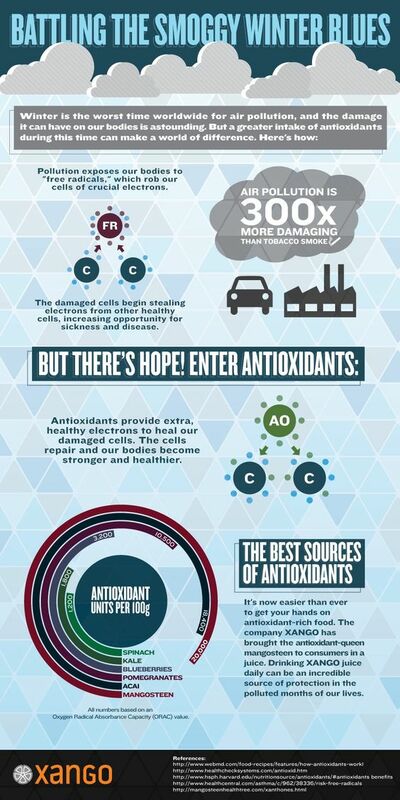 The infographic describes and compares antioxidant levels in ORAC activity. My opinion is that all comparison of antioxidant capacity should be as superoxide dismutase, SOD activity. However as you can see from the references provided if researchers aren’t yet using SOD assays for comparison then there is not much you can do. Would you like to know more about XanGo juice then read this post via the link?